Years ago when I was experiencing the depths of my dark night of the soul I couldn’t find anyone that I could relate to. I didn’t know what I needed, except that I knew I wanted to feel better. I wanted to live fully again. I wanted to enjoy myself again. I wanted to love again and I wanted to look and feel like the best of who I knew I could be. I wanted to stop hiding. Well, it’s been many years now. I took the very story that I thought might ‘kill’ me (and I’m not being dramatic here) and I turned everything around. Instead of being defeated by my pain and anger toward my father for killing my mother and then marrying her sister I found a way to forgive him and creativity played a big part in my healing process. 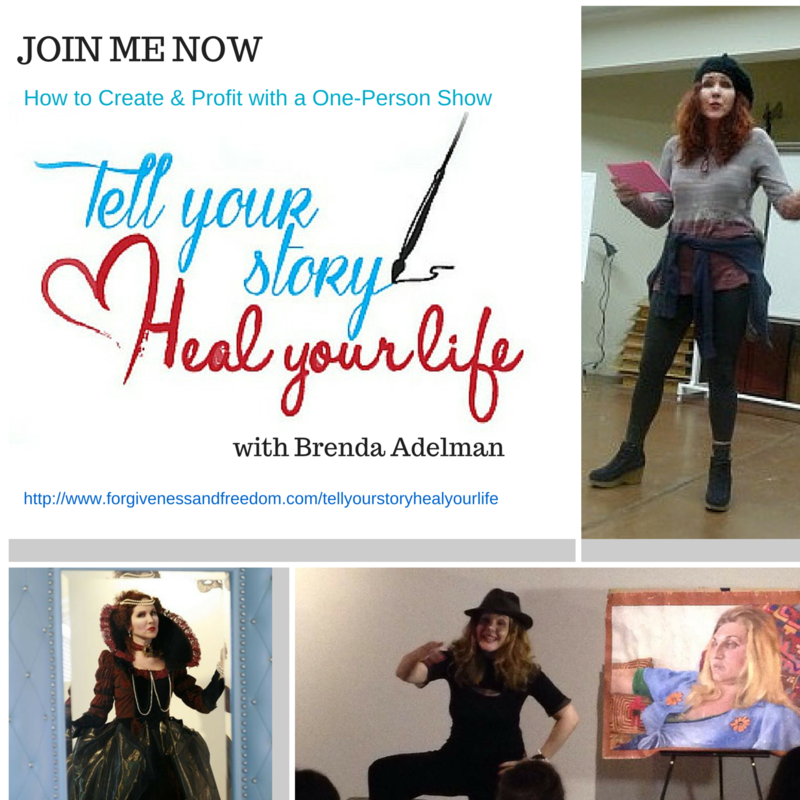 That’s why I am I excited to share with you my story, the exercises I did to overcome the odds and show you how you can also use your story to heal yourself, impact other and share boldly and authentically on stage and on video. Time for you to enjoy full creative expression! There’s some great free and low cost Optins on this page. Want more support? Head on over to my Programs and Services Page. It would be my honor to be your mentor. Ready to let go of the past so you can experience more peace and joy and love now? is THE FOUNDATION OF ALL MY FORGIVENESS TRAINING and is now available for purchase on Amazon as a Kindle book. You’ll DISCOVER the lessons I learned from forgiving my father and how you, too, can experience trust again after being betrayed and/or abandoned. Loaded with practical tips and exercises. My story will inspire you to finally let go of the resentments that bind you to a person or event and you will have the tools to move forward. This book has my 3 Step Proven Forgiveness Process in it. Purchase your copy for just $2.99 by clicking HERE! Tell Your Story. Heal Yourself. Create More Wealth. This is a 3 part video training series where I share how I went from someone who lost everything to turning the tragedy I lived through to my biggest lessons and how I not only impact and inspire others but I also earn a living. Do you have a story to tell that could change the world if you told it in the right way? Have you lived through something that might have took someone else down – but you were able to grab the lessons and not only survive but thrive? Or are you in the middle of it but you can see the way out and just know your story will help other people? Are you a performer that hasn’t fully expressed yourself and know that now is the time to create your own BIG BREAK! Or…it may never happen! Are you a speaker or small business owner who wants to STAND OUT and GROW YOUR BIZ with Speaking? 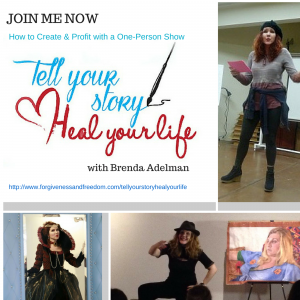 Find out how to heal your story, change it, use your talents fully and inspire others by using performance skills and presentation skills to share your message with more people… so you can change more lives. anoint you the expert in your field. It’s time to truly be you, isn’t it? *connect with other incredibly talented women and men. You’ll learn how to create your show from the beginning (or get your material to another level of excellence). You’ll discover all the secrets and tips I learned from performing my show for over 12,000 people and being interviewed by NPR and Fox TV news. You’ll find out how to best promote yourself, how to negotiate contracts so you make money right away and why starting with a short scene (2-10 minutes) has you stand out from the sea of speakers and presenters. In this 2 part audio series you will learn the exercise I used to find out the story that I needed to tell (not what I thought I should share)so it would resonate with audiences, I could not only earn a living by sharing it, but I could heal myself, understand myself more deeply and finally accept all of me. Are you a business owner who would you like to be able to share your story authentically, confidently, creatively and feel safe while sharing your story in your marketing? Yes…Then this program is for you. Are you a small business owner ready to stand out in your marketing? Then it is time for VIDEO STORYTELLING! because I’m going to help you look and sound GOOD! Plus- you get the real deal with me…all my techniques, tricks, short cuts to be captivating on camera. I learned from the best, as a professional actor who has not only graced stages all over the world and shot videos and films and commercials but learned acting from the best of the best in NYC and LA. Do you want me to give you some of that wisdom? I will …all you have to do is sign-up to work with me. Let’s get your personality, your expertise (as a solo-business owner) and your eyes to shine brightly in your videos! I can’t wait to be your video coach! BONUS: I will also help you with your presence which translates to confidence on video and on-stage. What color to wear so your eyes ‘pop’, you look radiant and there aren’t any distractions taking away from your message. Hate your voice? You’ll get one exercises that will change the way you deliver your words forever. 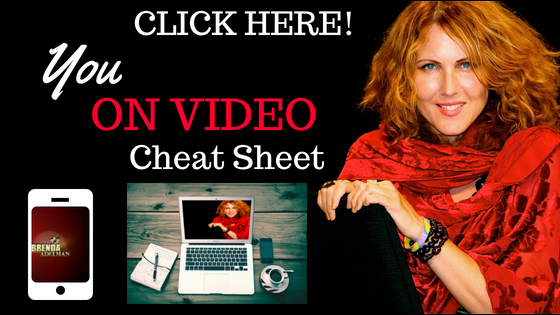 Refine your script so you get a great video under 2 minutes long that you can upload right away! NEVER AGAIN feel confused, ashamed, dowdy, and like you don’t deserve to take the stage! The world is our audience and let me help you reach them! I then send you notes with a minimum of 3 actions steps for you to take to make THE VIDEO better within 48 hours of receipt of your video. You incorporate the changes into a second take of the same video or a new video and send me the link. I will send you the second set of notes within 48 hours of receiving your second video. You follow my notes and I guarantee your second video will be better or you don’t pay. Can you beat that? Well no, you can’t. Within 48 hours you will receive an email from me to set up your first of two 45 minute sessions. 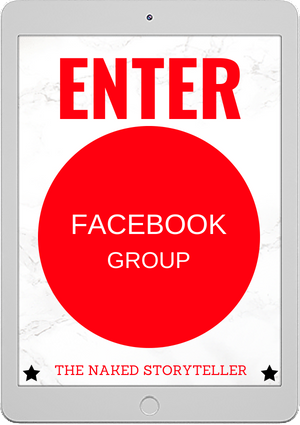 Join me on Video by CLICKING HERE! Interested in creating your own solo-show? 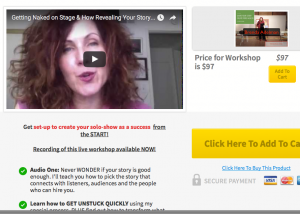 Interested in healing from telling your story? Are you a small business owner who wants to make videos and look great doing it?